Clutches are so big now! Especially monochrome/black and white ones. Come to think of it, I don't think clutches/pouches will be leaving the fashion scene anytime soon. They've been popping up in editorials everywhere. 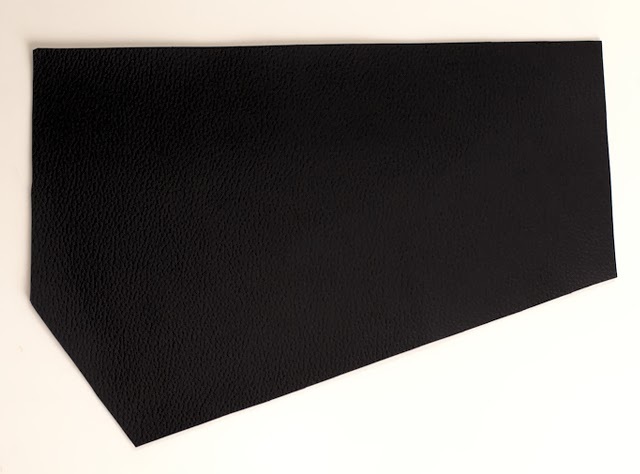 Just Google (Images) 'Fall Winter 2013 clutch' and you'll see what I mean. 1. 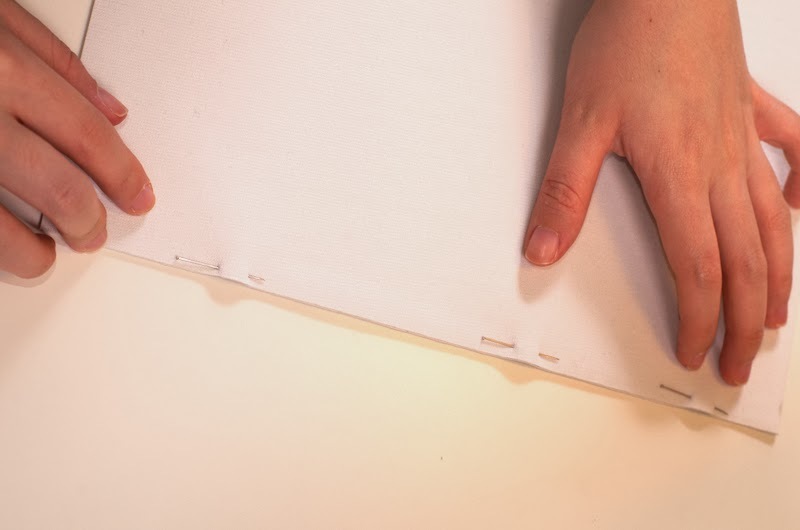 Take the two sheets of white PVC and pin them down, along the wide side, wrong side up. 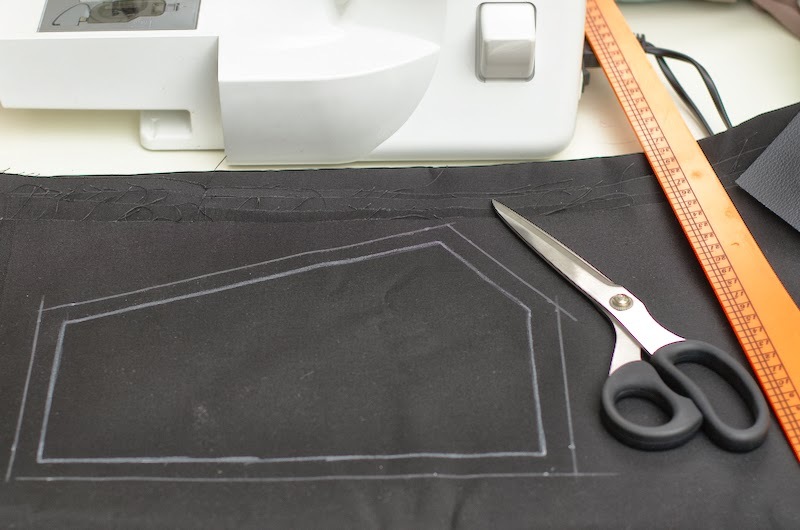 I drew a straight line along the pinned area (measuring approximately 0.8cm from the edge) as a guide when sewing the two pieces down. 2. 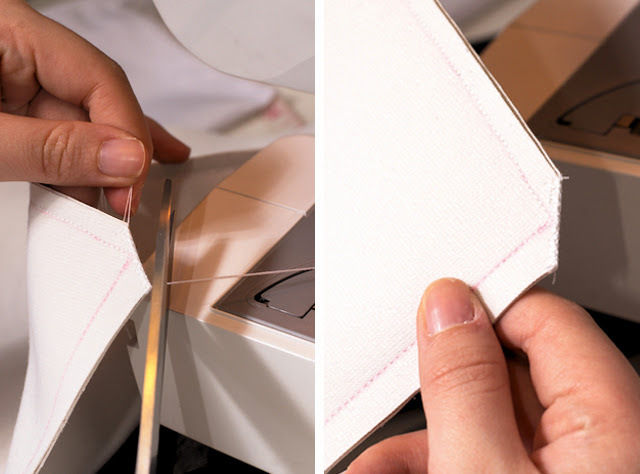 Sew the two sheets down. 3. Unlike clutches I've made before, I wanted the PVC to be exposed at the zipper (not folded in). 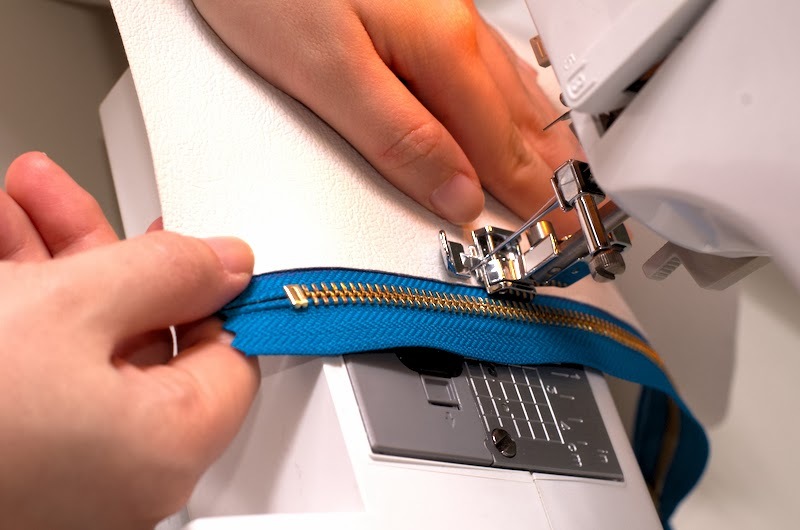 As such, on the opposite side of where you've just made your stitch, lay the PVC over the zipper (right side up), making sure it's straight. You don't want to pin this down because it will create permanent holes on the PVC. So just be careful to hold the zipper and PVC in place when sewing. 4. Your clutch should now be already taking shape, looking a bit like a cylinder. 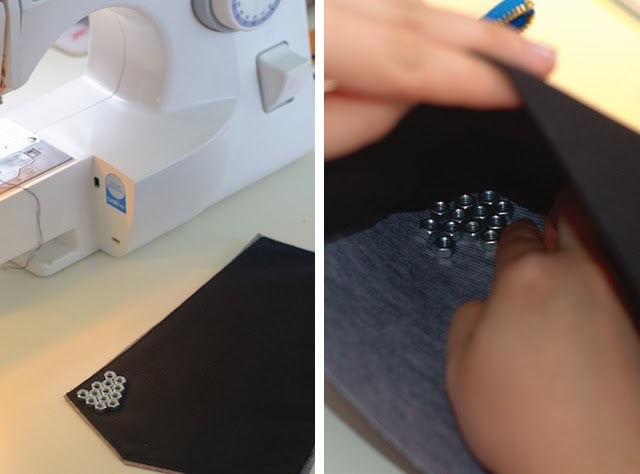 Turn your 'almost clutch' upside down (meaning wrong side up) and sew the sides down straight (not pictured). Make sure to unzip the zip a little, or else you might not be able to turn it back to the right side! 5. 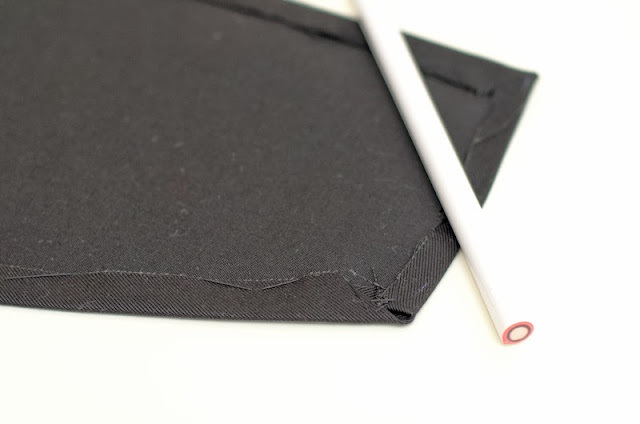 A trick to make the edges of the clutch nice and sharp - cut the edges (as pictured) and go over with a zigzag stitch to secure the stitching. Do this on the wrong side up of course. 6. At this point, your clutch should already look complete. I thought leaving it as it is, i.e. without the flap, looked equally as cool. 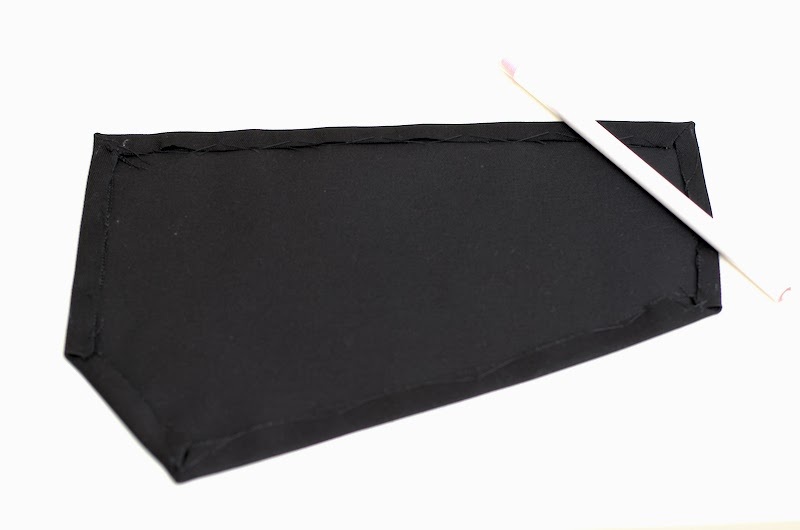 Fold it in half, or leave it looking like a pouch, both look just as good. 7. 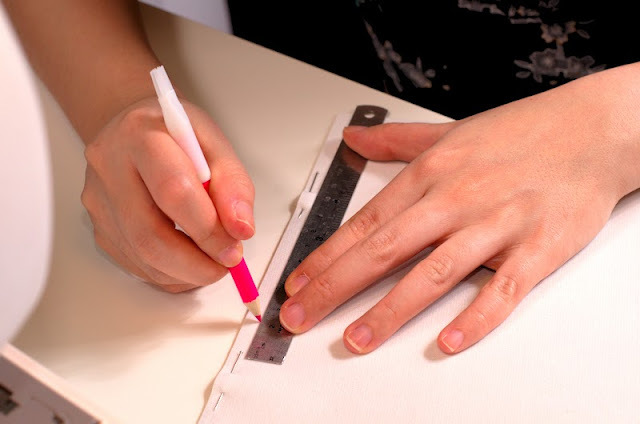 To make the flap, lay the black PVC down and cut the shape you desire. I made mine slightly off-centered. The uncut portion at the top will be sewed down on the back side of the clutch. 9. Place the cut black PVC on the stiff black fabric and trace the shape. I added about 1cm to the edge and cut out the bigger shape. 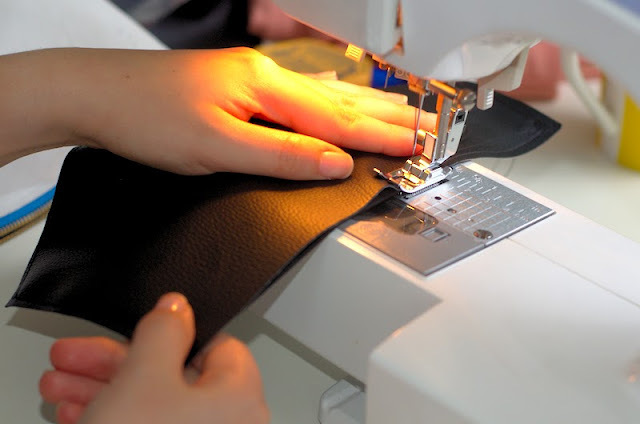 The extra will be sewn down by hand. 10. 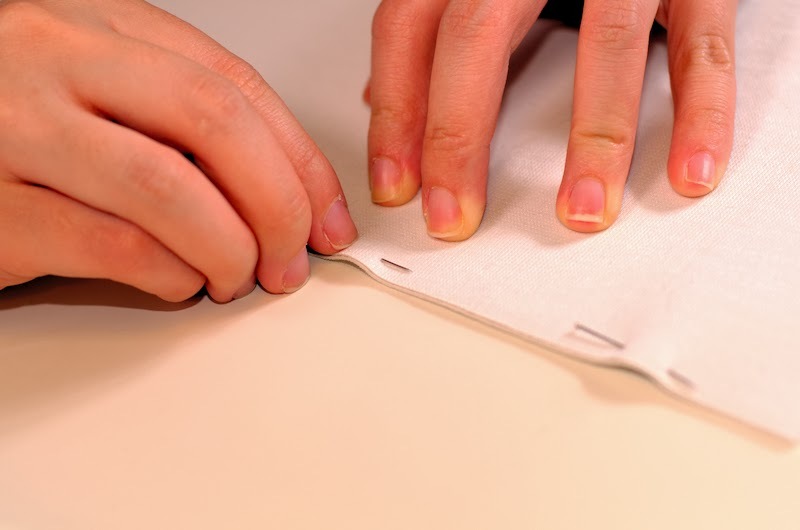 Fold down the sides and press, before sewing down by hand. I didn't spend too much on this bit because it will not be visible anyway. 11. Turn the fabric over and lay it on your black PVC (black PVC wrong side up) and sew down the sharp/envelope (in this case the off-centered part) edges with your machine (not pictured). 13. Let it dry overnight (for best results). 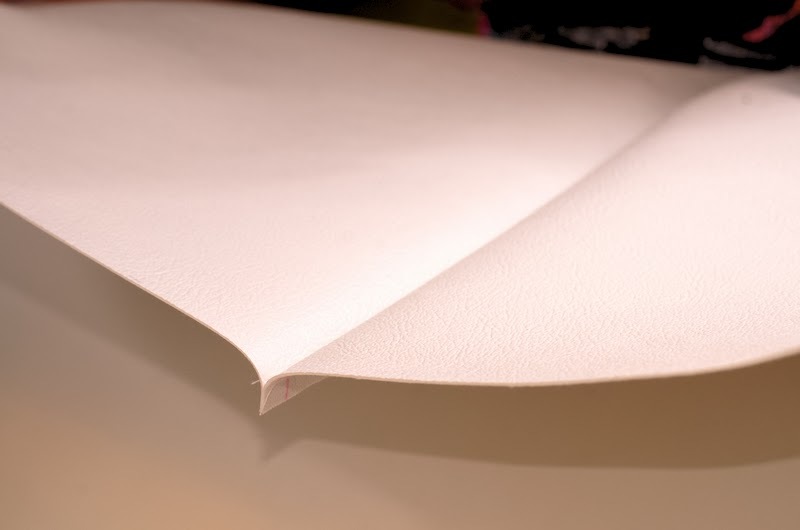 Then, measure where you'd like the flap to sit on the back of your clutch (I measured mine about 2 inches in) and sew the flap down onto the white PVC. 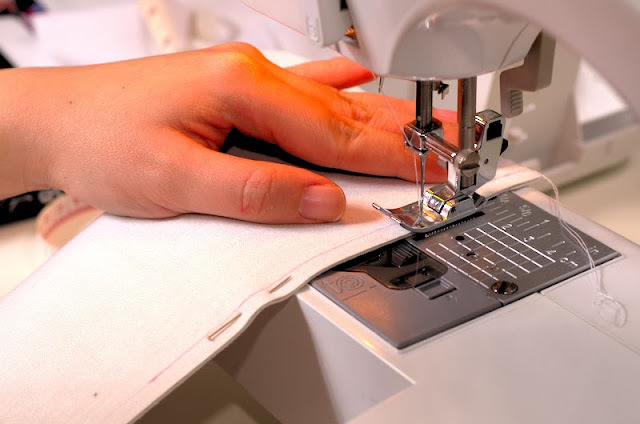 You might need to hand sew the sides, where your sewing machine might not reach. And voila, your clutch is ready! I hope you found this useful. I promise that this will be the most fulfilling DIY project you'll ever get your hands on because you'll get to use it everyday! Which do you prefer, with or without the flap? Good luck! Blog photos by Moose Pixels. The tutorial you shared is amazing and easy to implement. 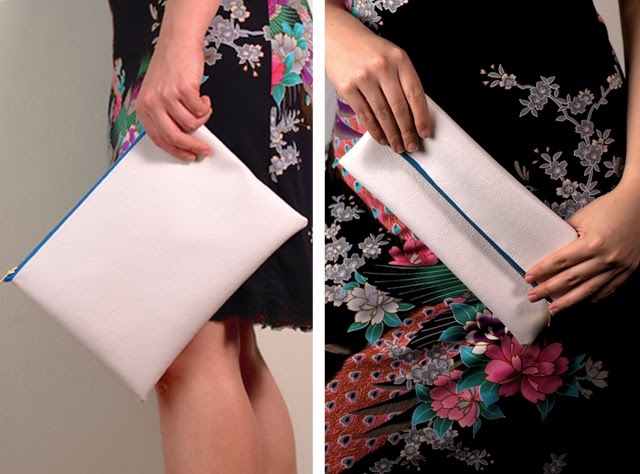 A beautiful clutch can be a wonderful piece of accessory to complement any outfit. 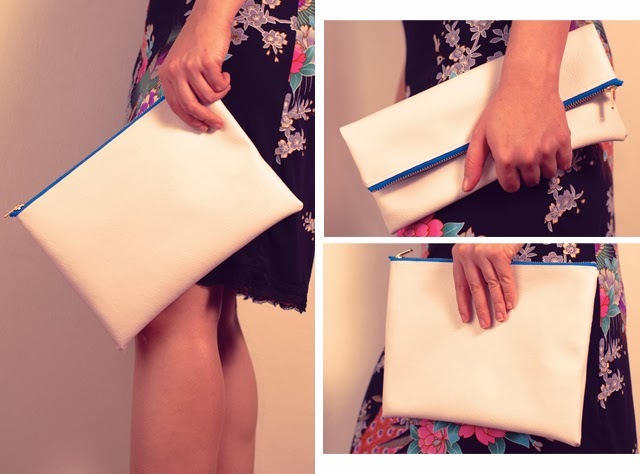 I love clutches and I know which clutch can be best for which type of outfit. 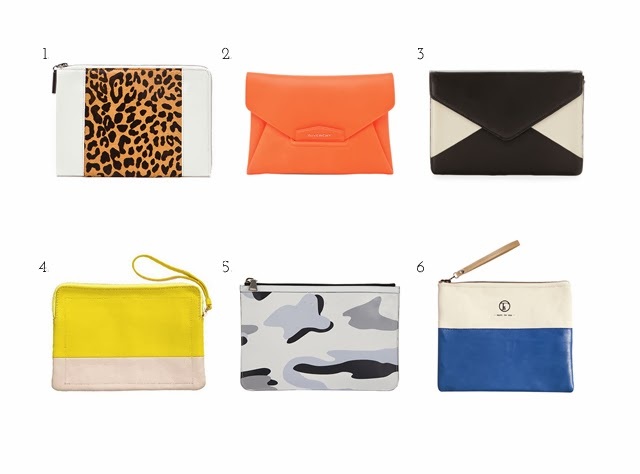 If your outfit is in light color, then brighter clutches in the same color family will work out well for your outfit. 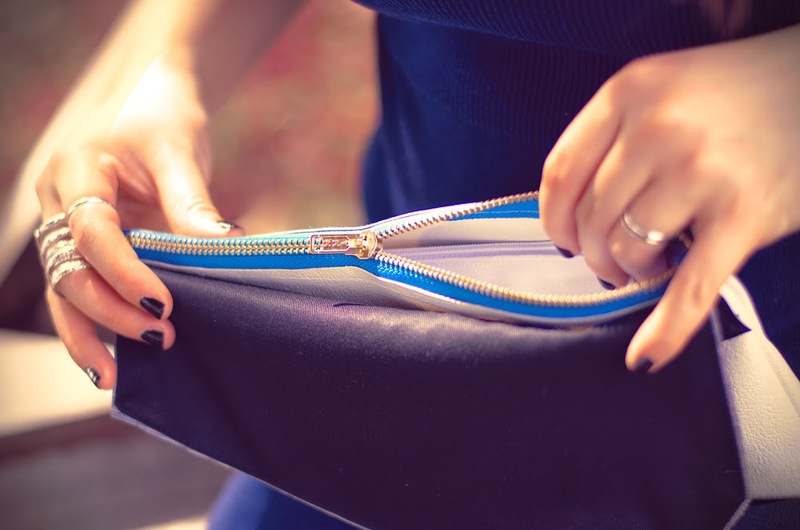 For smoother dresses and outfits, a dark colored clutch may be best. 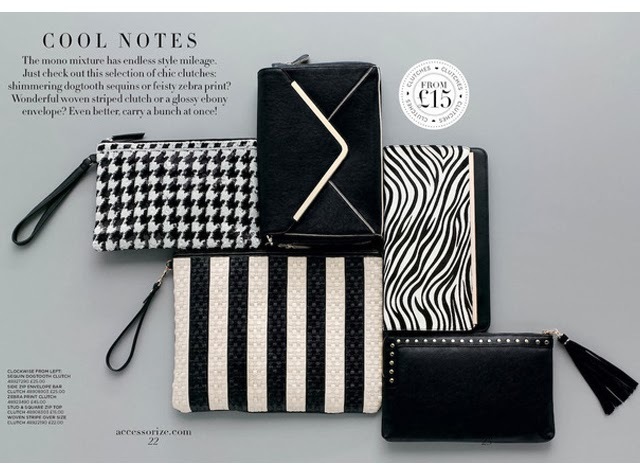 Though, I often carry my black colored clutch which I have purchased from http://www.kilkennyshop.com/orlakiely.htm, but I also love to do such kind of experiments. I like your idea and I will try to implement it at my home. Thanks Rebecca! (: Good luck!